Moments of despair bring us closer to hard truths. We all pretend. We pretend someone we love isn’t crazy, an alcoholic, or hasn’t betrayed our friendship. We pretend we aren’t crazy, or alcoholic or haven’t betrayed a friend. In 2008 everyone pretended a whole hell of a lot about what they could afford or that they weren’t greedy.We get married and don’t tell our husband we bring along $50,000 in debt or we have herpes. We divorce and say ugly things about the kids’ father to the kids and decide that’s o.k. because they should be loyal to us. In over 30 years of working with people I am still astonished at how people forget in their own hatred that it’s best for kids long term to respect both parents. It doesn’t matter what betrayals were done to you. Kids need both parents, it’s that simple! We pretend we’re not angry or depressed. We pretend we’re not selfish, or boring or lonely. We pretend it’s o.k. not to talk about hard things because we don’t want to hurt the other person,when it’s really ourselves we’re protecting. We pretend OUR disappointment is the guiding light in relationships. We pretend if you love me you’d be more like me and you should know what I want without asking. We pretend we are better people if we wear certain clothes & have big soulless houses. 2009 is about some of the pretending falling apart. It’s painful & a lot of truth will emerge if we allow it. 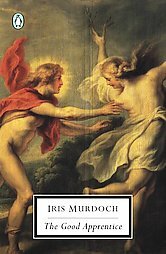 Iris Murdoch is my literary “mother” as Robertson Davies is my literary “father”. 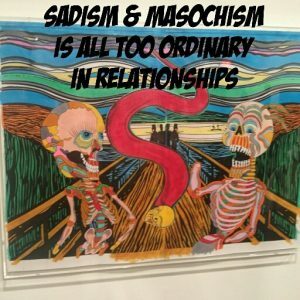 In her book The Good Apprentice she says the following through her character Thomas a psychiatrist: “We are all wrapped in silky layers of illusion which we instinctively feel to be necessary to our existence. Often these illusions are harmless, in the sense we can be reasonably good and reasonably happy. Sometimes because of a catastrophe, a bereavement or some total loss of self-esteem, our falsehoods become pernicious, and we are forced to chose between some painful recognition of truth and an ever more frenzied and aggressive manufacturing of lies.” There will always be the hard choice to stop pretending and change, it almost makes up for having to struggle with our humanity.